In North Carolina, you are required to show proof of financial responsibility in case of an accident. The best way to fulfill this requirement is to purchase car insurance. Get more insights about North Carolina car insurance requirements, programs, rates and discounts. 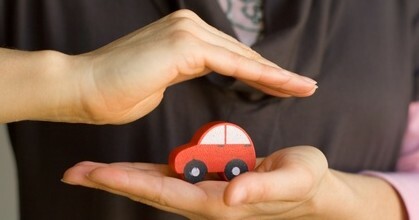 The state also requires you to purchase uninsured motorist coverage. This insurance coverage helps pay your medical cost resulting from injuries caused by uninsured drivers who cause accidents. The same minimum limits of liability coverage apply to this insurance coverage. NOTE: Comprehensive and collision coverages may be required if you are financing your car through a loan or lease agreement. A DL-123 form issued by your car insurance provider showing that you have insured your car. You can get any of the above from your car insurance provider. North Carolina’s Safe Driver Incentive Plan (SDIP) is a program that grades drivers conduct on the road. Essentially, if you have a bad driving record, you will be penalized and pay higher insurance premiums when you apply for insurance coverage. The reverse is true. If you violate any traffic regulation, you get some points on your driving record which may eventually increase your car insurance premiums. The Department of Insurance in North Carolina provides more information on how SDIP points are given and how they might affect your premiums. Submitting an FS-1 form proof of liability insurance. By phone at (919) 807-6840 or toll-free (888) 680-7684. North Carolina car insurance companies use certain factors when calculating your car insurance premium; however, they firstly look at your driving record before giving you a final insurance quote.